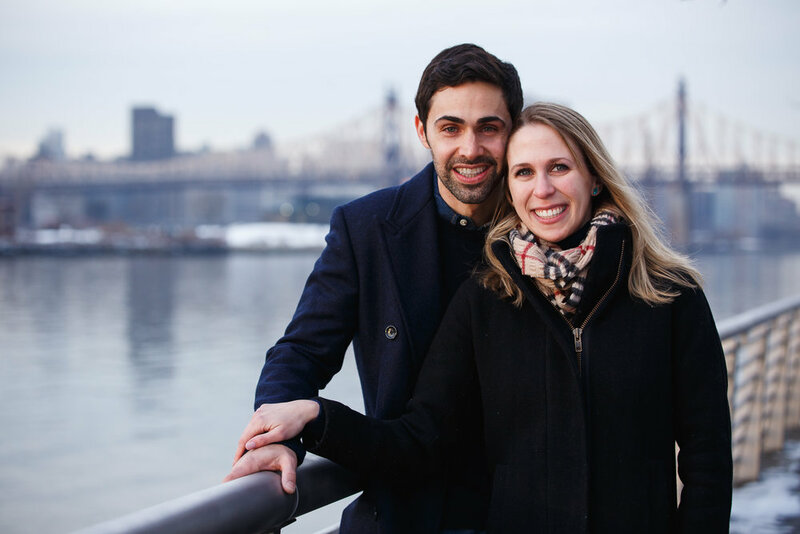 These two cuties had been together for about two years when Oren popped the question. 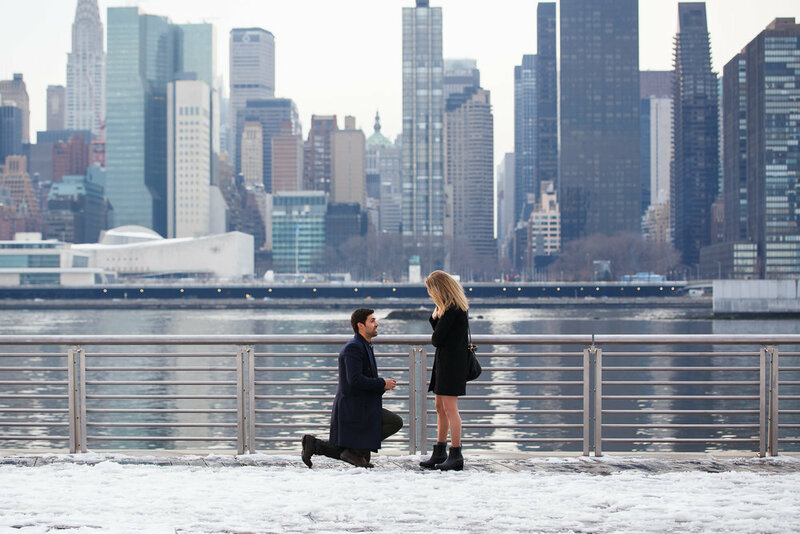 Their first date was over coffee as Oren returned to the city from a skiing trip, so the snow on the ground during the proposal made for perfect symmetry. After a happy-tear-filled 'yes!' 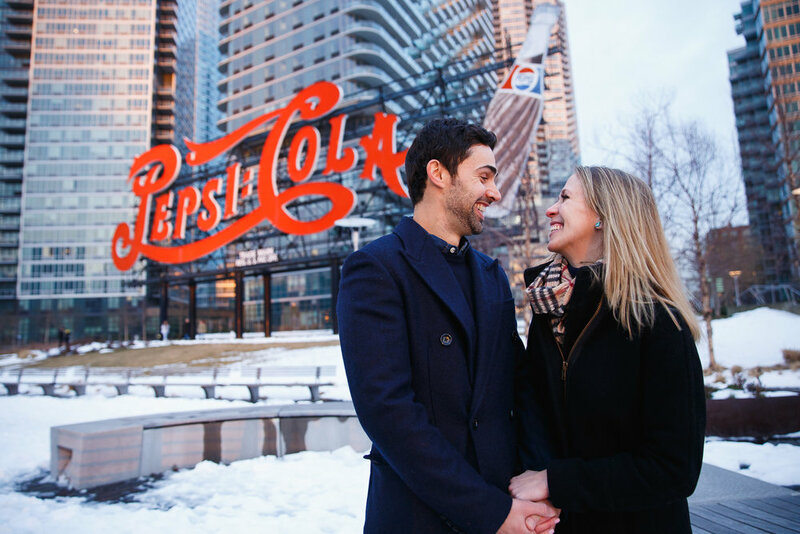 Oren and Julie popped a bottle of champagne and we spent a bit of time taking a few portraits with the NYC skyline and the Pepsi sign as backdrops to commemorate the occasion. I love being a part of these special occasions with my clients. I'm thrilled to have been able to celebrate such a perfect moment with Oren and Julie. Thank you both! Best wishes and love.